It only seems appropriate that on April Fool’s Day I write a post that is no joke. I’m a neuroweirdo who’s never quite normal, (whatever one considers normal in this oddly beautiful world) and I’ve had numerous instances where my friends have assumed I’m kidding when I’ve revealed the truth that is my sensorial world. So, on this day of hoaxes and pranks and inverted expectations, I’m writing with honesty. In just a few weeks, I’m presenting at the United Kingdom Synaesthesia Association Symposium in Dublin Ireland. I will be speaking about my career as a Certified Massage Therapist, and how I utilize the cross-modal perceptions of mirror-touch synesthesia in the practice of manual therapy. I’ve looked at the draft program for the event, and I am one of very few presenters without an affiliation with a major research university. And, although I have a background in theater that has helped me overcome my natural introvert tendencies and comfortably speak in public, I’ve never made a presentation of this nature. A friend asked me the other day if I’m nervous, and I said no. I’m not nervous; I’m actually quite excited. I’m looking forward to returning to Dublin as I’ve not been there in 15 years, and I’m charmed by Trinity College, the institution hosting the UK Synesthesia Symposium (I can’t wait to gaze upon the Book of Kells!). I’m curious about the experience of participating in an academic conference. Also, I’m intrigued by the fascinating research on synesthesia that will be explored at this conference. I feel quite fortunate to have the opportunity to witness presentations from the world’s leading experts in the field. I’m enthusiastic, and a little elated, but I have no trepidation. My emotional disposition toward the UK Synaesthesia Symposium reminds me of The Fool card in the tarot. Typically, The Fool is depicted as a merry wanderer, optimistic and carefree, blithely stepping off a cliff to willingly place herself at the whims of the universe. It is card number 0, neither the beginning, nor the end, the eternal return. Even though traditional illustrations of The Fool capture a quality of obliviousness, she is almost always depicted as prepared for the journey, with a rucksack, a walking stick and a companion, typically a small white dog at her side. My own small white dog will stay at home in San Francisco while I make my way to the motherland. I probably should be more jittery than I am, what, with speaking at the most prestigious university in Ireland to a cohort of highly accomplished academics. But, I know I have the right tools for the journey. I have a lifetime of first hand experience with synesthesia, and I’m working diligently to create an engaging poster that represents my cross-modal perceptions. I’m lucky to have friends employed by the University of California, a pair of brilliant knot theorists who can help me pull my presentation together. And, I think I’m just far too inexperienced in this arena to feel the nervousness that would be a natural response to the amplitude of it all. 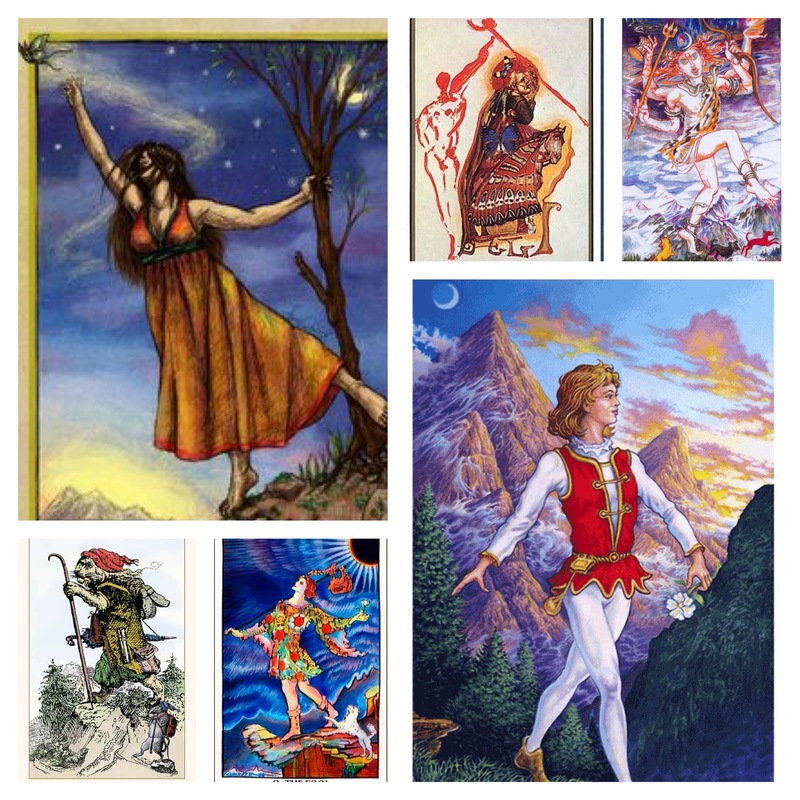 I’m feeling a bit of The Fool these days, in a tarot sort of way, optimistic and eager. But there’s no April Fools in that.